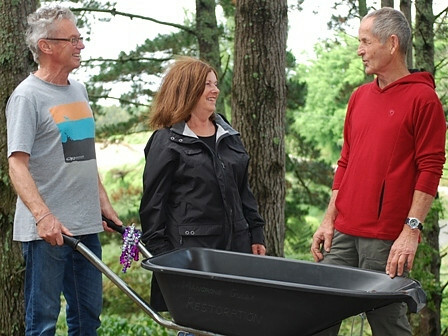 Wheelbarrows are the group’s one-wheel tractors, essential for ferrying plants, tools, timber, and you name it along the narrow tracks that stretch from one workplace to another the length of the nearly 5ha Tauwhare Rd reserve. Losing one was a real blow for a group supported only by the occasional funding grant. A stiffly worded notice tacked to a tree and designed to shame the thief into returning the wheelbarrow failed to stir anyone’s conscience. But months later it stirred action of a different kind. 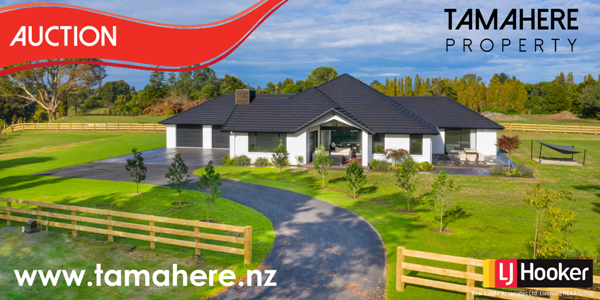 Maureen Trainor and Daryl Smith live not far from Tamahere Reserve, walk there regularly and have followed its restoration with interest. They wanted to lend a hand and the rapidly fading message to the heartless thief gave them a clue as to how they could. On Sunday, the couple presented a brand new wheelbarrow, complete with festive tinsel, to a grateful restoration trust chairman Leo Koppens. The kindness of neighbours has wiped away the bitter taste left by the theft of the original barrow. Almost. No one was taking any chances with the new barrow. Smith carved the trust’s name into its sides before the couple handed it over and as soon as he got it Koppens spray painted the trust’s initials on in vivid yellow. Hopefully the precautions will mean the generous gift will last a long time in the job.